50 shades of surprises: Amazon reveals its top-selling books of 2012…can you guess what they are? 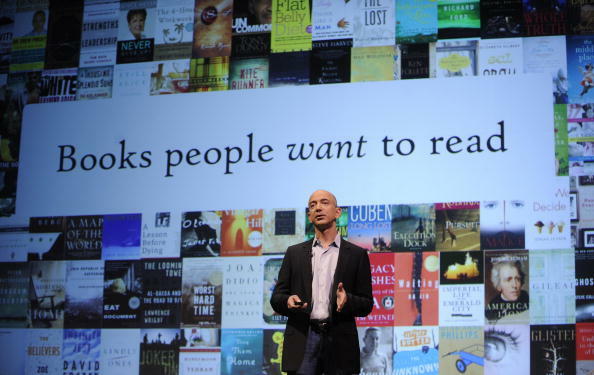 Online retail giant Amazon has announced its top 10 best-selling books of 2012, counting both print and Kindle sales. And in what will hardly be the biggest surprise of the year, “Fifty Shades Freed” takes top spot. “Fifty Shades Freed” is the third book of E. L. James’ “Fifty Shades of Grey” trilogy. The full trilogy as a set takes the third spot in the list of Amazon’s best-selling titles. Apart from top 10 best-selling books overall, Amazon has compiled a list of the most popular titles for teens and kids, where the lead is taken by “The Mark of Athena” by Rick Riordan. The best-selling book from 2011, Walter Isaacson’s Steve Jobs, didn’t make the chart this time. Take a look at the lists — one of these books may be a good Christmas present for your loved ones.